Interim Dean for Institutional Equity and Inclusion Lisa Scott delivers a speech during the Women of Color Reception Dinner on Oct. 25. 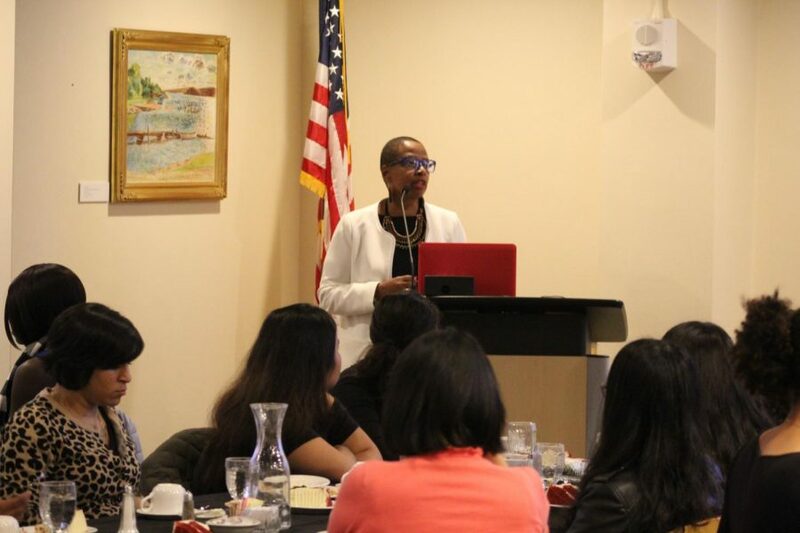 Interim Dean for Institutional Equity and Inclusion Lisa Scott organized a reception dinner for women of color on Oct. 25. Scott welcomed more than 25 students, faculty, and staff identifying as women of color to share in food and conversation in Peace Dining Room. Scott’s main goal for the session was to encourage women of color to unite and seek out leadership roles by giving information about how to do so. Students were seated at tables of eight to encourage conversation with other women of color on campus. Scott circled around the room and introduced herself to students while they ate dinner before standing up at the front to present a short speech. In her speech, she talked about her personal experiences in working with women of color. Scott was grateful to host this event for the students and encouraged them to continue meeting in the future. 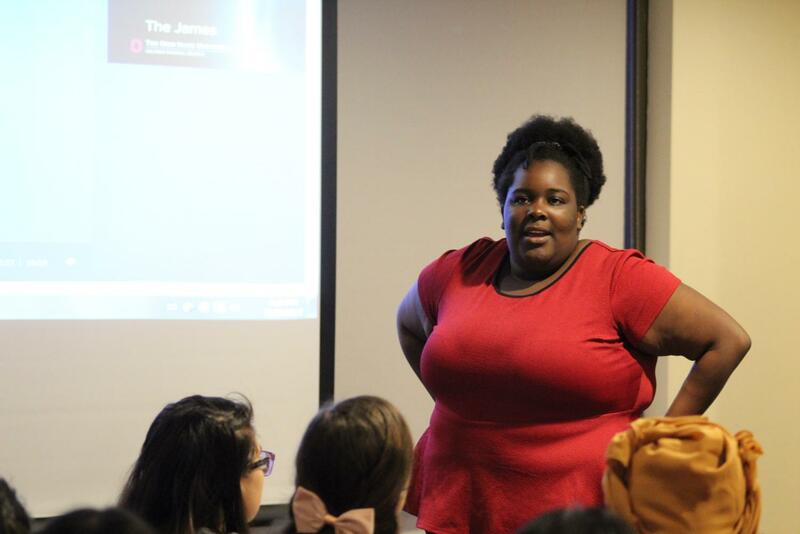 Janet Irankunda (’19) introduces herself to the attendees at the Women of Color Reception Dinner. After Scott’s welcoming words, each of the students introduced themselves by sharing their name, year at Luther, nationality, and major. Scott also mentioned how she and staff from other departments on campus are working towards helping women of color succeed at Luther. Scott then showed a TED talk titled “It’s About Time to Value Young Women of Color in Leadership” by Brittany Packnett to help students realize the importance of gathering in a community. Attendee Fezile Mnisi (‘20) felt encouraged by Scott’s words and said that she appreciates having her on campus. Attendee Khwanhatai Kongkapetch (‘20) agreed with Mnisiadding that Scott is helping them not only in their college life but also when thinking about the future. The reception ended with a session of group photos. Scott encourages everyone to contact her at [email protected] or the Diversity Center located in the Union in for more information.